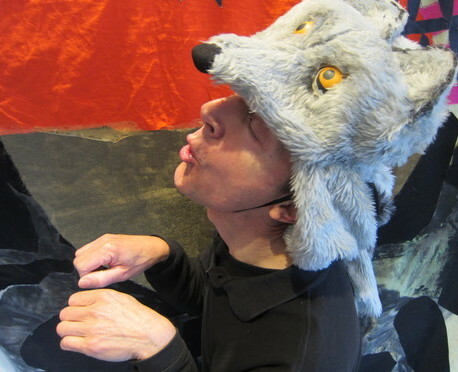 Using animal costume and movement, acting, storytelling, puppetry, music, songs, dance, and audience participation, Mark Wastell vividly brings to life the wonderful tale of Mowgli the Jungle Boy. Children love the story of Mowgli the abandoned child who is befriended by all the animals of the Jungle. 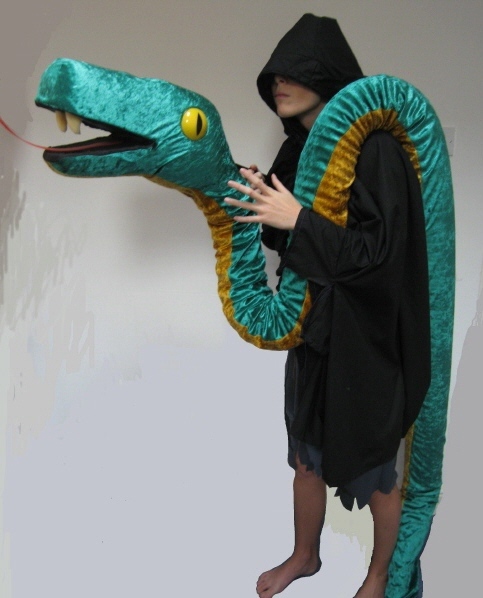 Their eyes will be on stalks as Mowgli meets Kaa the twelve foot long Rocksnake and they’ll be laughing in the aisles at the badly behaved, banana-throwing monkeys! 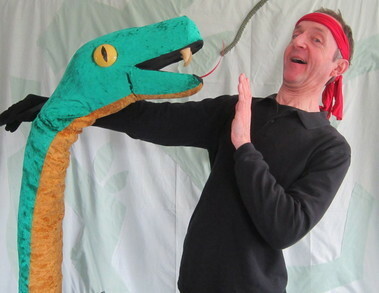 With wonderful animal characters, great jungle songs for the children to join in with and plenty of audience participation this show is a winning combination. 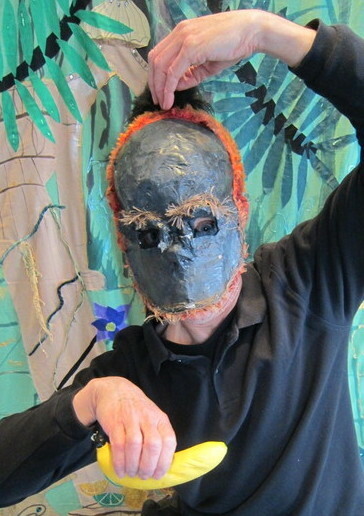 Mark’s highly creative performance fires young imaginations and is great for book weeks, learning topics, as an end of term treat or to brighten up the menu in a long school term. 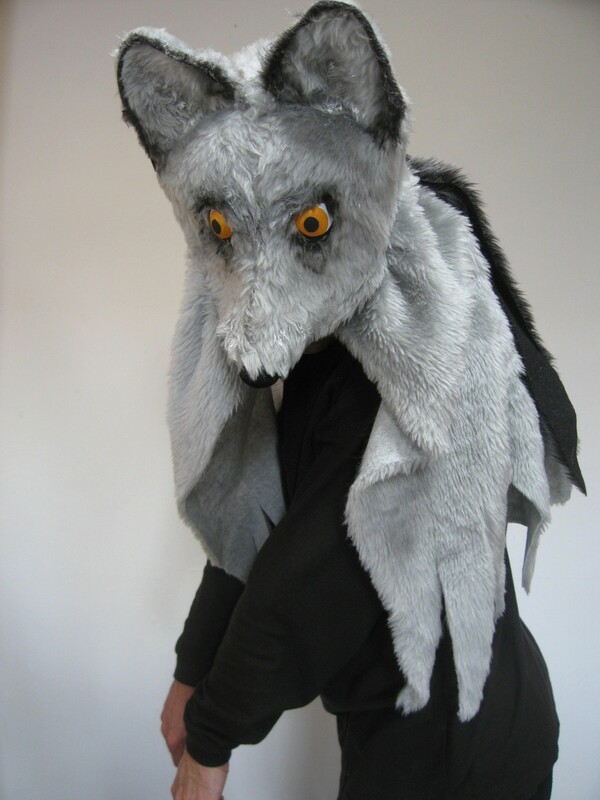 All the animal masks are handmade by the company and the songs and music are specially written for this show. Every production and performance is unique. Every audience brings along something new! When baby Mowgli is abandoned in the Jungle none of the animals can think what to do. They’ve never found a lost mancub in the Jungle before. Luckily, Mother Wolf has the answer – the little mancub can run around with all her other cubs! So Mowgli is brought up by Mother Wolf with all the animals of the Jungle as his friends. Baloo the wise brown bear teaches him everything he needs to know: how to climb trees, swim rivers, be polite to the other animals, stay out of trouble and avoid the scary beasts. But Mowgli is bored and soon wanders off to play with the meddlesome monkey folk. Will he remember any of Baloo’s lessons? Can he be polite to Kaa the Rocksnake? 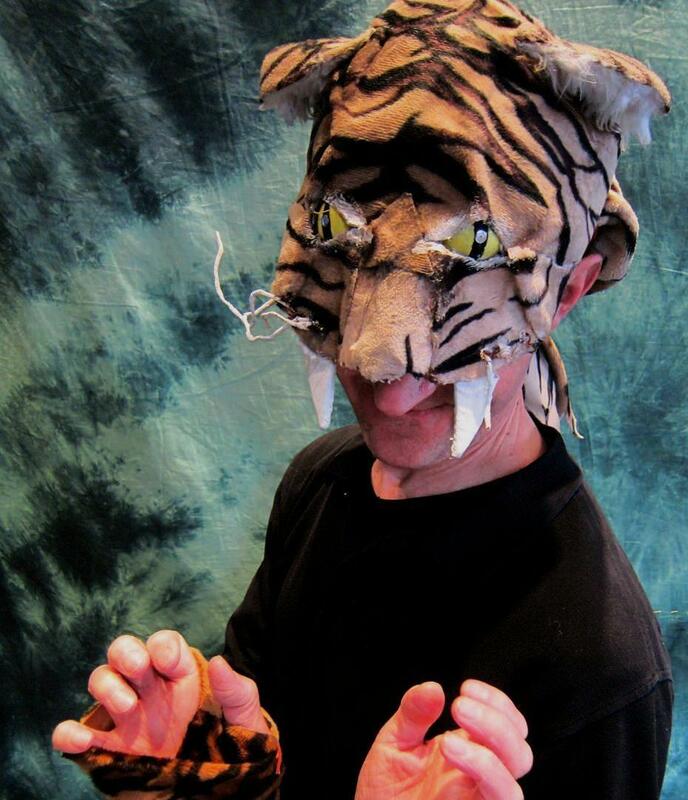 Will he stay away from Shere Khan the hungry tiger? Swing on down and join Mark for his simply delightful jungle adventure!